Today's modern anesthetic monitors have made surgery much safer than in the past. 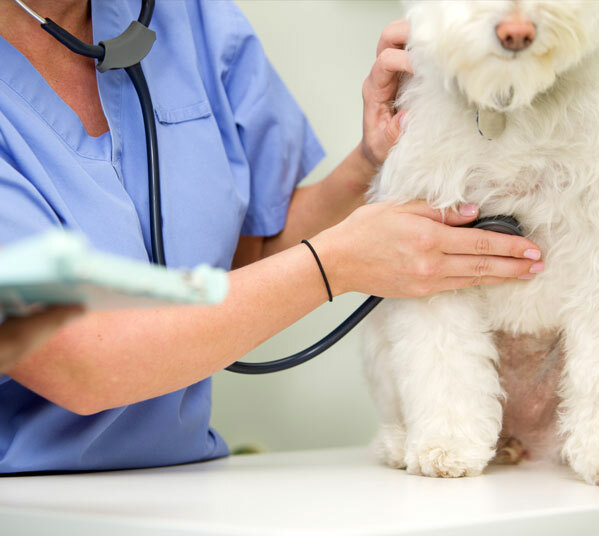 Here at Eastside Animal Clinic, we do a thorough physical exam on your pet before administering anesthetics, to ensure that a fever or other illness won't be a problem. We also adjust the amount and type of anesthetic used depending on the health of your pet. The handout on anesthesia explains this in greater detail. For many surgeries, we use absorbable sutures underneath the skin. These will dissolve on their own, and do not need to be removed later. Some surgeries, especially tumor removals, do require skin stitches. With either type of suture, you will need to keep an eye on the incision for swelling or discharge. Most dogs and cats do not lick excessively or chew at the incision, but this is an occasional problem you will also need to watch for. If there are skin sutures, these will usually be removed 10 to 14 days after surgery. You will also need to limit your pet's activity level for a time and no baths or swimming are allowed until the stitches are removed. An Elizabethan collar may be sent to prevent your (active/fiesty) pet from chewing them out. For dogs, we may recommend an oral anti-inflamatory the day after surgery and several days after to lessen the risk of discomfort and swelling. We use newer medications, which are less likely to cause stomach upset and can be given even the morning of surgery. The cost of the medication ranges from $15 to $45, depending on the size of your dog. Because cats do not tolerate standard pain medications such as aspirin, ibuprofen, or Tylenol, we are limited in what we can give them. Recent advances in pain medications have allowed for better pain control in cats than ever before. We administer a pain injection 10 minutes prior to surgery. After surgery, pain medication is given on a case by case basis. Any procedure that is knowingly painful or patients that do not tolerate pain very well, will receive additional pain medication. The day of surgery, you will need to arrive between 8-9AM and we will need to 10 to 15 minutes of time to fill out paperwork and make decisions on the blood testing and other options available. When you pick up your pet after surgery you can also plan to spend about 10 minutes to go over your pet's home care needs.